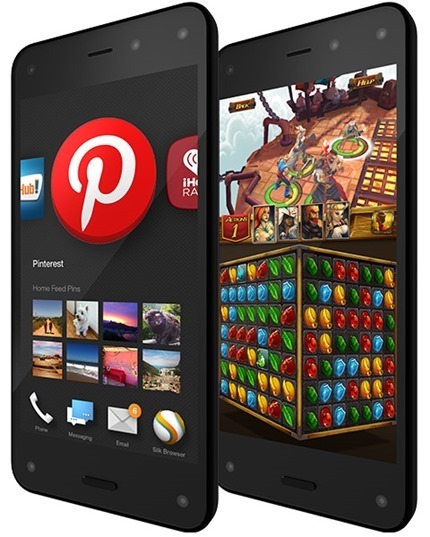 Amazon has finally taken the wraps off its very first smartphone, which unsurprisingly, the online retail giant has decided to call the Fire Phone. But what makes this device so special, and why would we, the consumer, pick Amazon’s inaugural handset over the many alternatives out there? 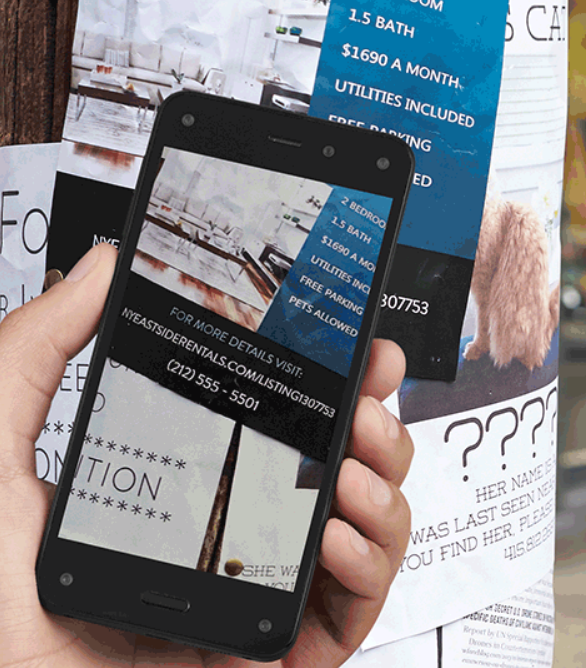 Today’s special event has run through a bunch of great features and quirks attached to the Fire Phone, and you’ll find a full run-down after the fold. Having already cornered the e-reader market and made significant progress with the Kindle Fire tablet series, the stage has long since been set for Amazon to drop a smartphone. Today, after months of rumor and speculation, the device is finally here, and like the company’s other digital hardware, bundles a healthy set of specs into a reasonably-priced package. The Fire Phone packs a 4.7-inch IPS LCD display, which is considered the de facto "sweet spot" for the modern smartphone. It’s not too big as though to make the device feel unwieldy, while also packing enough real estate to facilitate enough content, and as noted by Amazon CEO Jeff Bezos, the company felt the display size and subsequent device profile would be ideal for use with one hand. The Fire Phone isn’t as gifted internally as some of the high-end smartphones like the Galaxy S5 et al, but still packs some substantial hardware features. With a quad-core 2.2GHz CPU, allied to 2 gigs of RAM, it falls into the market somewhere in-between mid-range and high-end, which is precisely where most would consider the Kindle Fire to be among its peers. 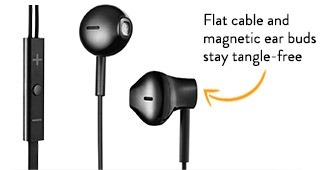 As an added bonus for music fans, the Fire Phone’s speakers will also pack Dolby Virtual Surround sound, and out of the box, you’ll get a good quality pair of earbuds which are tangle-free, at least that’s what Amazon are claiming them to be. 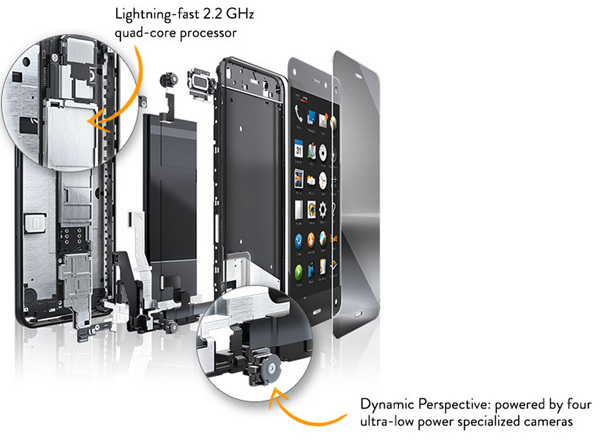 The Fire Phone comes with great battery under the hood. 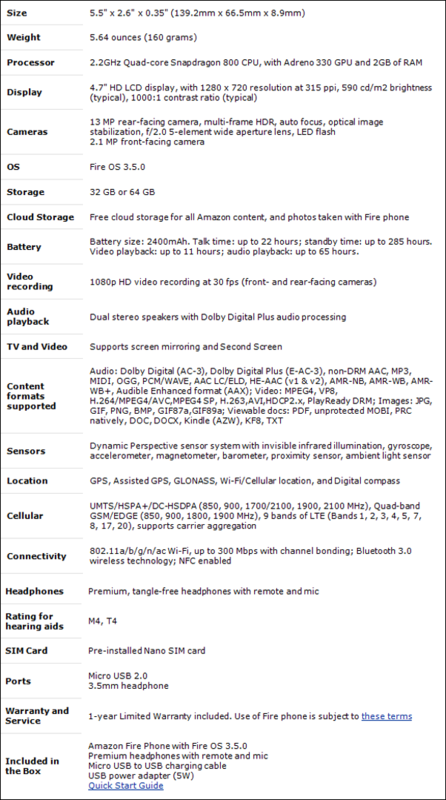 And Amazon is promising up to 285 hours of standby time, 22 hours of pure talk time, 65 hours of audio playback and 11 hours of video playback. Of course, real world performance will vary depending on different factors. The Fire Phone packs a 13-megapixel rear-facing shooter with f/2.0 aperture complete with optical image stabilization, and with a physical camera button to boot, you’ll never miss that Kodak Moment. But the 13-megapixel camera isn’t the only thing that comes with the device; on the front, there are four cameras, out of which the best two are used at any given time to create perspective for the user. The cameras have a bunch of tricks down its sleeve, like tilting the phone to scroll through a page, or see a 3D map in more perspective, and so on. The camera can shoot video in full HD 1080p at 30 frames per second, so you can rest assured that your next cool pool dive will come out awesome. 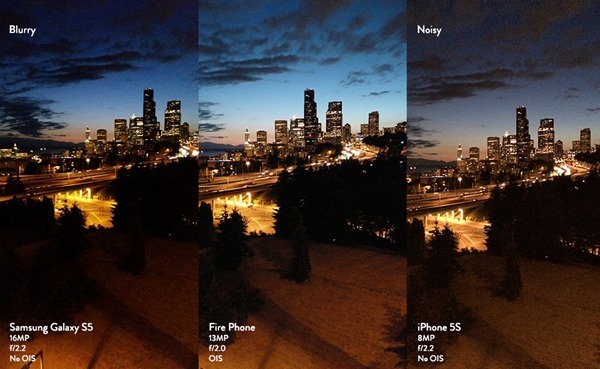 The camera also comes with Intelligent HDR, which suggests the users when to turn HDR mode on or off, and in the end you’ll be left with a beautiful photo. Rest of the camera features are all standard, like panorama mode, burst image capture and lenticular. The device is comprised of glass on both sides, framed in metal, with the rubber trim nicely accented by metallic physical buttons. It’s a well-designed smartphone if not dazzling, and doesn’t really break from convention up against some of its soon-to-be rivals. Amazon will be offering unlimited photo storage for device owners via Amazon Cloud, which is quite a statement of intent when considering the intensity of the battle for supremacy in cloud space. Apple, are you noticing this? 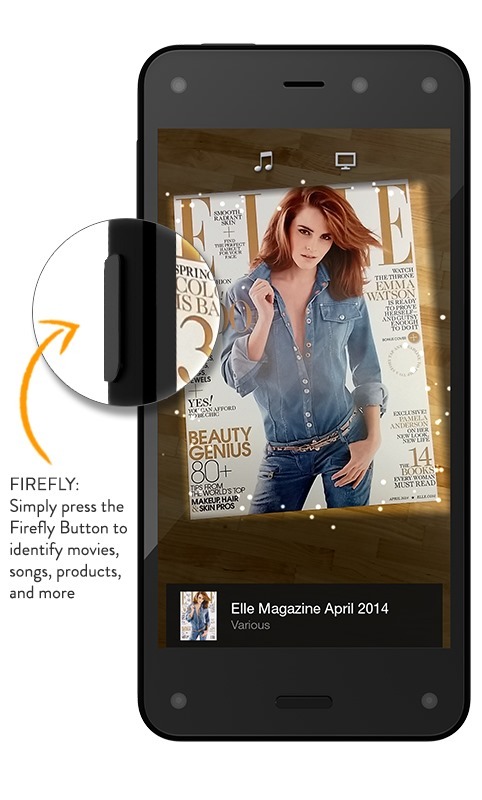 You always knew that Amazon’s smartphone would include a few unique touches, and the new object recognition system dubbed Firefly certainly fits this bill. According to Amazon, the feature can recognize over 100,000,000 items, but it’s much more than your run-of-the-mill barcode scanner. Sure, it will pick up on the barcodes of items, allowing you to place orders or sell items as you please, but apparently, the smart system will be able to determine precisely what is being scanned and even, for example, pick up on blemishes. It will obviously be of interest to readers, gamers and movie lovers interested in DVDs, but Amazon clearly believes that Firefly is the second-coming of the ordinary camera-based scanner as we know it. Given the diversity and sheer number of what Firefly may be able to pick up on, it seems limitless, and although we’ll reserve judgment until we can try it out first-hand, Firefly appears very promising indeed. 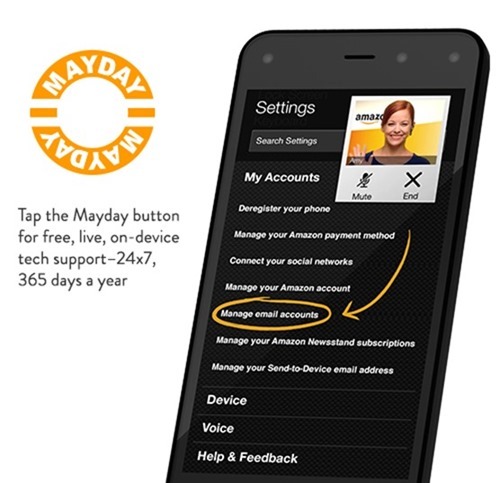 With Mayday, you can use your Fire Phone to get free on-device video support from an Amazon expert, that too at any given time. Yes, it’s available 24/7! The Fire Phone comes with a cool new feature called X-Ray, which is powered by IMDb, and it lets you recognize more than 240,000 movies / TV shows, and even live channels. 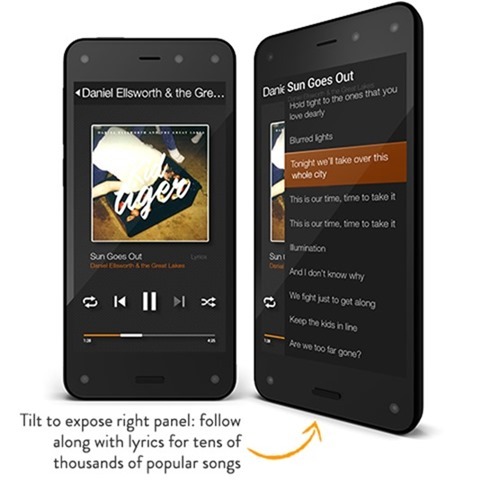 It’s not just movies and TV shows which the Fire Phone recognizes, it also goes into the realms of songs, and after you’ve identified a track, you can download it directly to your phone. 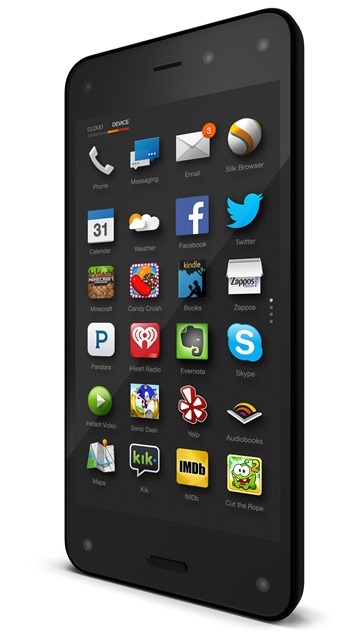 Just like its Kindle Fire range of devices, the Fire Phone is powered by a forked version of Android, which Amazon calls Fire OS, and it means you have access to tens of thousands of apps from the get-go. It wouldn’t be an Amazon phone without Amazon Prime would it? With Amazon Prime, you get two-day shipping on millions of items absolutely free, along with unlimited movies and TV shows streaming, and bundle that with Amazon’s all-new Prime Music service, and you have an entertainment monster in the palm of your hands. The 32GB model will cost $199, while the 64GB will set you back $299 on contract with AT&T. And off-contract, the 32GB model will set you back $649, and the 64GB model will set you back $749. 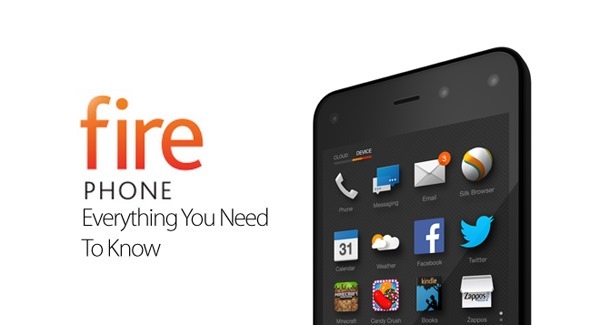 The Fire Phone will be available on July 25th and is available for pre-order starting today.